Selecting therapy materials is always tough decision for me. One of the most important factors I look at before purchasing a material is how many children on my caseload an item will apply to. 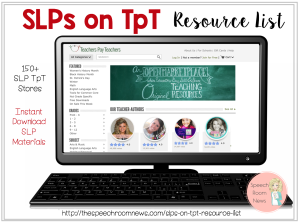 If you use this same criteria you will love what I’m reviewing today! 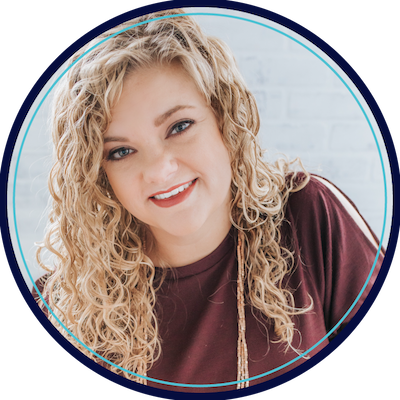 I’m going to review three great Super Duper items that can easily be used together to target a variety of treatment goals! 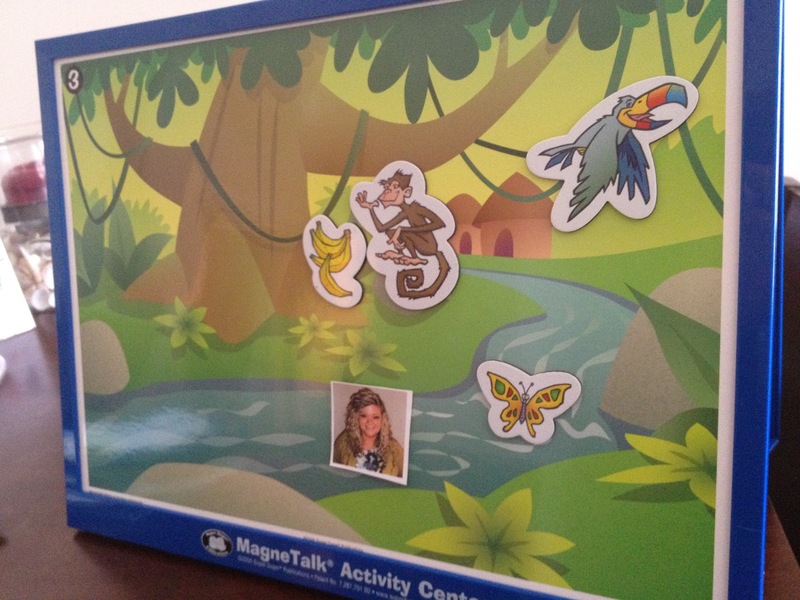 Up first is the MagneTalk Match-Up Fantasy Barrier activity set. 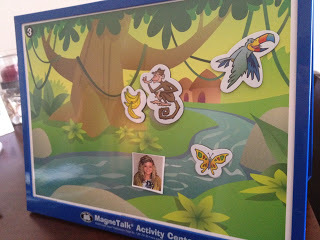 Using barrier games is one of my all time favorite activities for therapy. Katie had a wonderful description in this post about how to use them for a variety of targets! 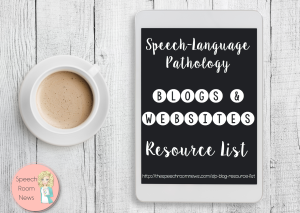 I mostly use it for following directions, concepts and vocabulary. The games come with background scenes and magnets. The barrier is magnetic, giving it the flexibility all SLP’s are craving! 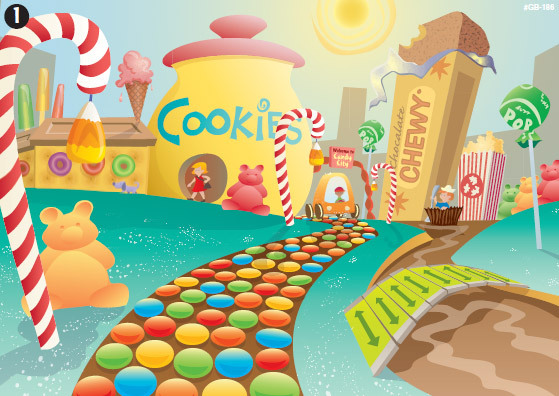 I got the Fantasy Pack – isn’t this candy scene fun?! One way we jazzed this up in my office this week was to use magnetic paper. You can get it in any office supply store. It’s a bit expensive ($13 for 5 sheets), so you’ll want to get all the printing out of it you can. One of the things I printed on it was pictures of familiar faces for my student! He got a huge kick out of it. Today all I can show you is MY picture in the river, but we had lots of friends in our story 🙂 If you already have a set of barrier boards that your students are bored with – pull out your ipad and take a quick picture that you can print. It will make the boards seem like new again! This version also comes with a story chart, which we used on one side of the board, instead of using matching barrier pictures! The MagneTalk Match Up Fantasy Story Adventures give you the flexibility to work on many different language goals simultaneously. 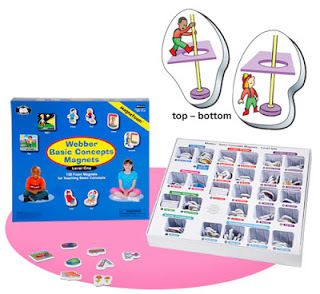 So we’ve covered using the barrier set in the typical way, but once you have the magnetic barrier, you can adapt any other magnetic activities for use on the activity center! 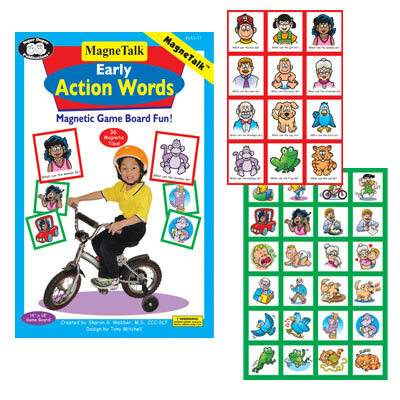 Super Duper also provided me with a copy of the MagneTalk Early Action Words game. 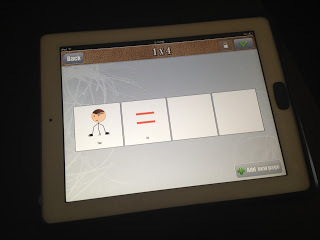 My student’s goals included pronouns and verbs, so we made “pronoun + is + verb+ing” sentences! 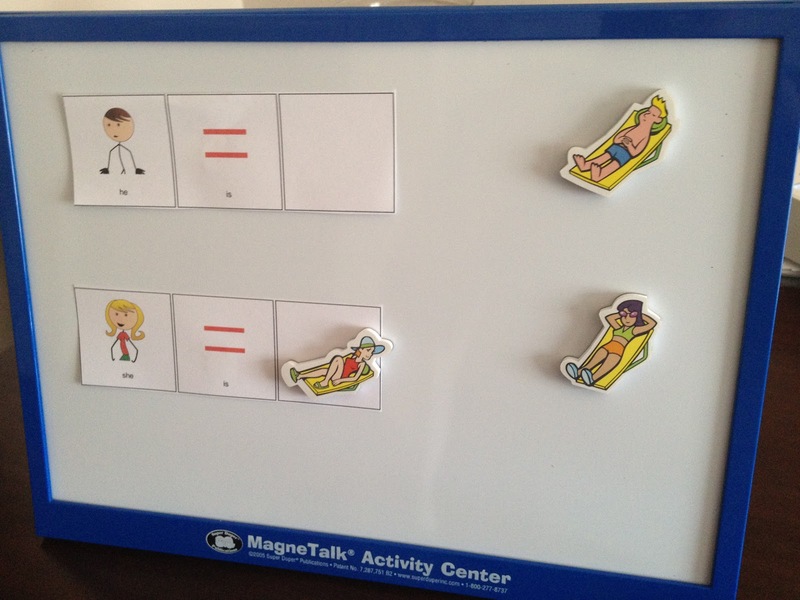 Many of you might own some of the other MagneTalk Game items from Super Duper. 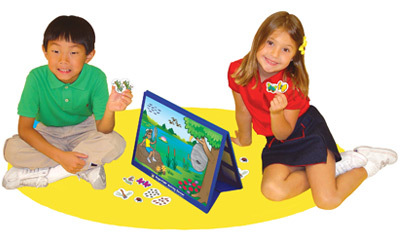 They carry versions for articulation, grammar, language and more. Any of those items would be compatible with the barrier activity center! The last activity I reviewed this week in my magnet extravaganza is the Webber Basic Concepts MagneFoam Magnets (Level 1). This kit includes 158 magnets for 54 basic concepts. My favorite part of the magnets is their thickness. 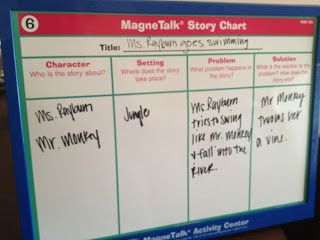 It makes them easy to grab off of the board for my preschoolers! 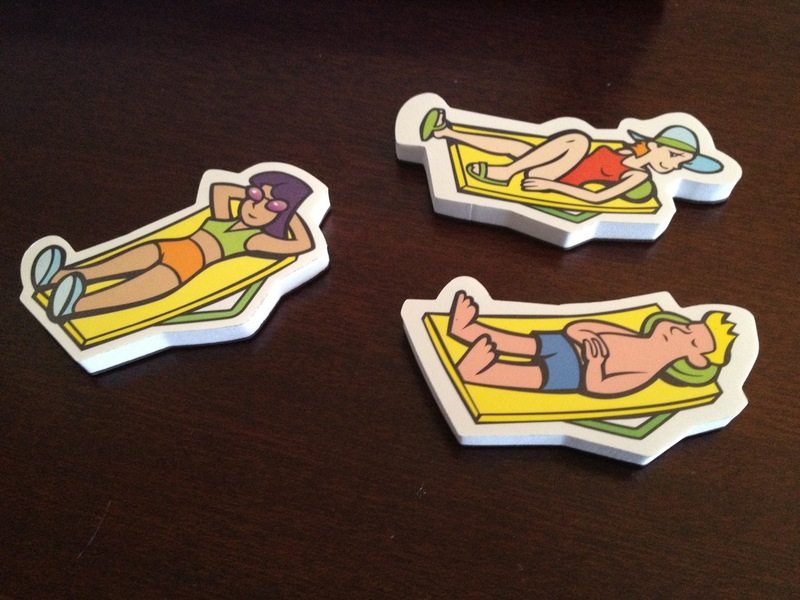 Each set of magnets contains two pictures plus a FOIL (ie: awake, asleep). 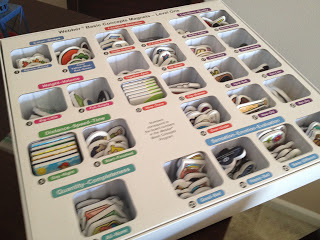 The magnets are decently sized at 2 inches and will be perfect for my language circles in preschool this fall! 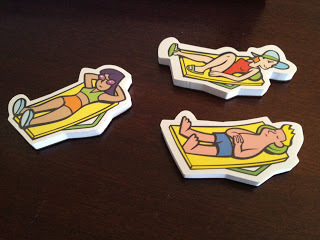 I wanted to use these with the same little friend working on pronouns. 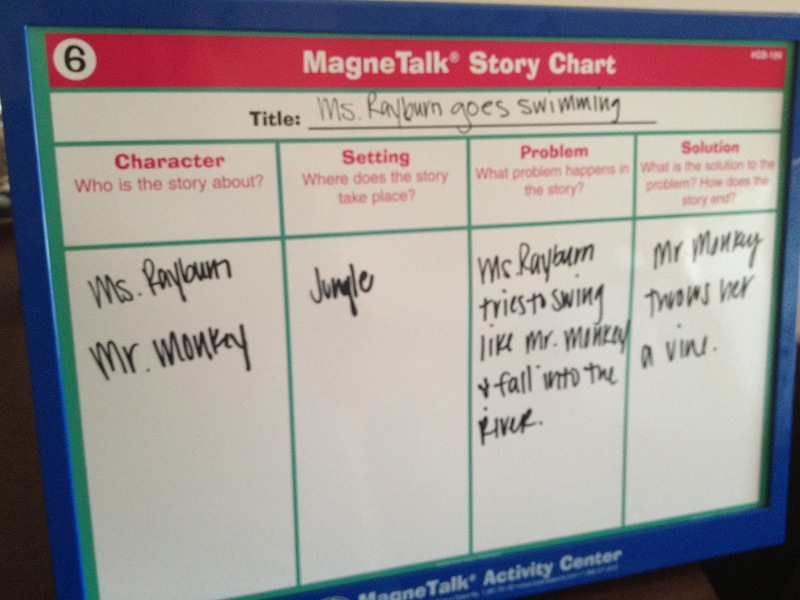 I opened Custom Boards on my ipad and made some quick sentences strips to use on my MagneTalk Activity Center. (I skipped my magnetic paper this time since I was in a hurry!) A bit of tape held them into place and we took turns adding magnets while we made sentences! Pros: The ability to target multiple goals using the same materials makes these activities well worth their price tag. I enjoy being able to use each item as a stand alone item, but the ability to use them together gives clinicians more opportunities to use each item. Cons: These items are quite large. The box for the MagneFoam Concepts is particularly big, so those with small spaces might need to re-pack/organize it into a smaller container! 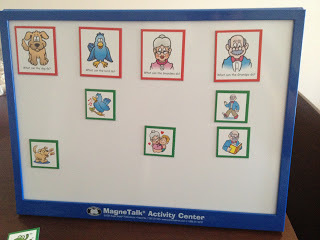 Do you have any favorite magnetic activities? All materials were provided by Super Duper. The opinions in this review are mine and no other compensation was provided. « Our year floated by!